For the last version of Tessitura Pro 1.9.5, I created a short promo video and started a in-stream video campaign in adwords. Here are the steps I followed to make this happen. Make sure you choose Mobile app installs and find your app using the search in the Your mobile app drop down search box Once you’ve selected your app, new options will appear. Then name your Ad group name for the campaign (you could have many different promo videos or different setting for the same video in your campaign, each of those would be an Ad group which is linked to one video). And search for your video on YouTube. Once you’ve selected your video you will have more options to choose from. I am using an In-stream ad which will appear at the beginning of some other video, but you may choose a Video discovery ad type that will appear as a recommended video on some part of the screen depending on the device. On the next page choose how you will setup up conversion tracking. The SDK library references the iOS AdSupport development framework which may not already be part of your project. To add this framework, open the Link Binary With Libraries dropdown under the Build Phases tab. Add the framework from the iOS SDK using the + button. In Xcode’s project navigator, press the blue top-level project icon. Click on your target, then the Build Settings tab. Under Linking > Other Linker Flags, add -ObjC to both Debug and Release. It is important that you add a Call-to-action overlay on your promo video. That’s all. Now I am able to track every single Tessitura Pro installation from the promo video I’ve created as a conversion. While developing our new Christmas Puzzles by mDecks Music app we did an experiment with the CoreMotion module of the iPhone. CoreMotion lets you detect and track movements of the iPhone in real time. There are many different approaches to implement apps that can handle iPhone movement. The most frequently used technique is to use a method that detects the iPhone being shake but it is not precise and did not work for us. For a more precise tracking method you need to use CoreMotion. In our solution, we were able to implement a routine that would detect the iPhone movement when the user pretends to be hitting imaginary bells in front of him/her. Our algorithm ended up being very simple and, the response, really fast and efficient. We managed to create different detection algorithms and included in the app. We created music files that would play a song using the rhythm played by the user as source. You may print the rhythm score to practice our rhythmic sight reading and/or learn how to read and play rhythms while performing a real song, which we think makes practicing rhythms very intuitive and fun. To do this you need a CMMotionManager. and then start updating the iphone motion at a specific updateInterval. Once you’ve obtained this data in real time, it’s up to you to create an algorithm that would interpret the device’s movement. It is crucial to set up a coherent updateInterval. It can’t be too short or too long. You have to find it by trial and error. 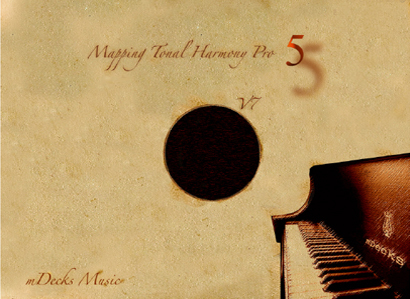 60 Top Hat Piano Grooves Free with in-app purchases ready for sale. After 12 days waiting for review, 60 Top Hat Piano Grooves Free version 1.2 is now ready for sale. The user has now the option of purchasing a preferred groove module. For example: If you’d like to access all the Rock & Pop grooves only, you may do so by purchasing only that module. I think this will be a nice feature on the free version since the user already has access to two grooves for every single style. They can try them and choose the style they want to work with first and then when they are ready they can download the next module. Yesterday, after 14 days, a new version of our music app Rhythmic Vocabulary for All Instruments Vol. 1 was Rejected by the review team on Apple. This version of the app has an in-app purchase where the user can buy Vol. II within the app. I forgot to upload a in-app screenshot, which is not optional and it is said to be used in the review process only. In the email from Apple, they described generic problems with in-app purchases but they do not tell you specifically what the problem is. Apparently the most common problem is not having a restore button (or feature) for the user to retrieve the in-app purchases previously made when they re-install the app or they download a new version and, I knew that was not the problem with mine. Now we have to wait for review for another 14 days or so. Today we submitted the new version of 60 Top Hat Piano Grooves Free. 60 Top Hat Piano Grooves is a great piano app for piano students and players who want to improve their comping technique in many different styles. 20 Saxophone Tricks of the Trade by Mario Cerra. Mario Cerra is an unbelievable jazz saxophone player ( I met Mario a few years back when we were studying at Berklee College of Music in Boston) and I asked him to share 20 of his tricks and concepts when improvising at the saxophone, with the hope of creating a great Mobile app with video tutorials, demos, scores and backing tracks for practicing. I should add, I’ve just finished my piano app a couple of weeks ago, and is already available on the App Store, got a few nice reviews and we are waiting to see how it does on the App Store. iTunes Connect error -22421 solved!